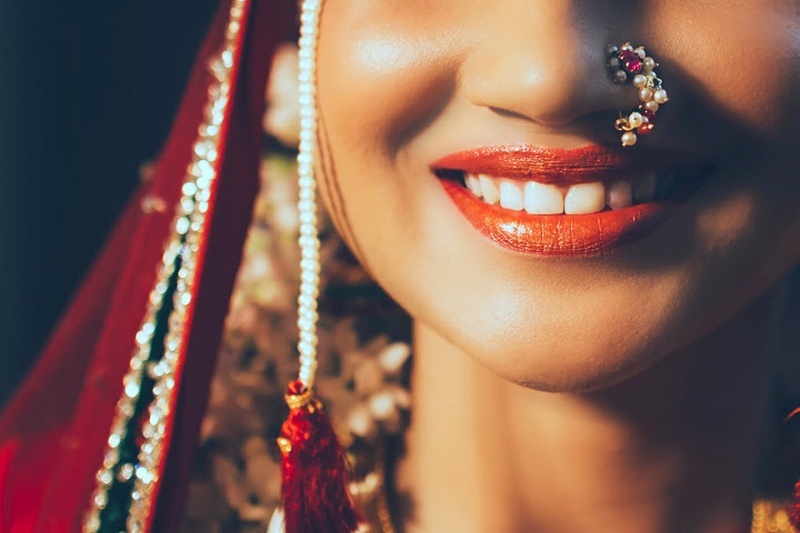 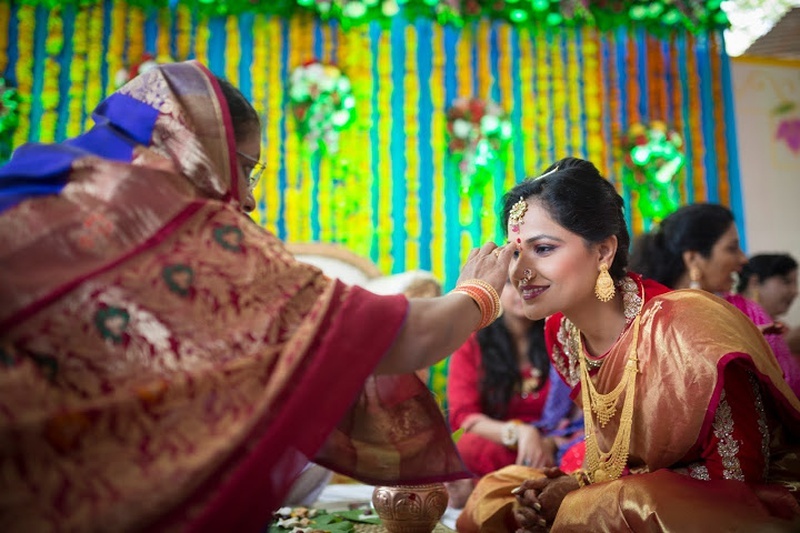 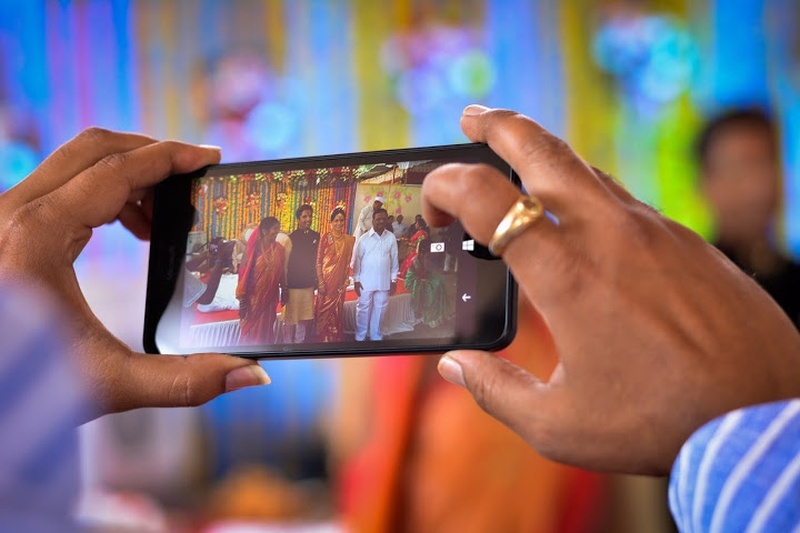 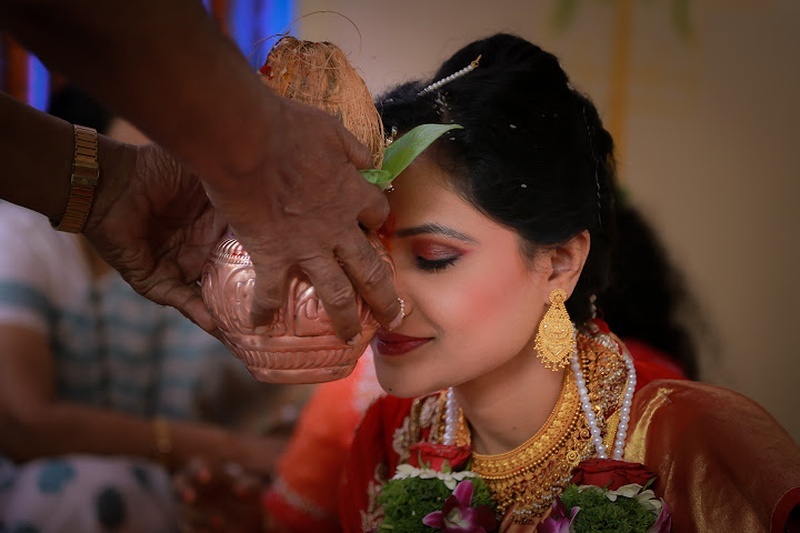 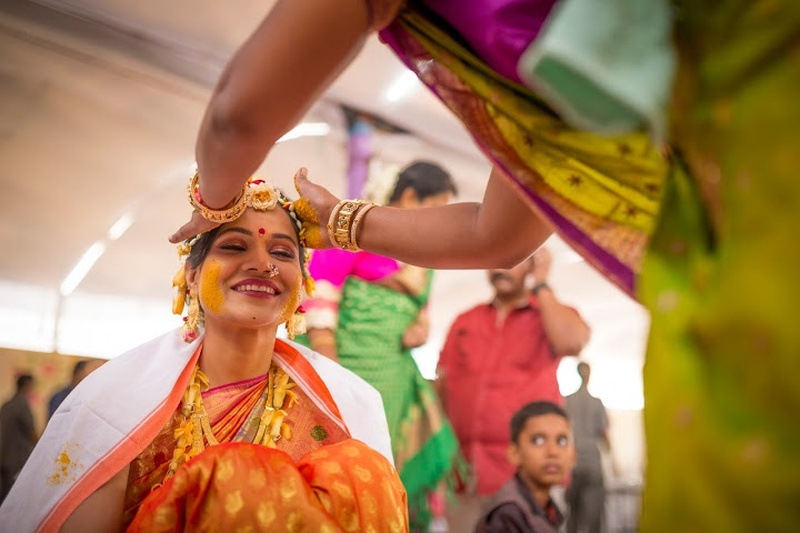 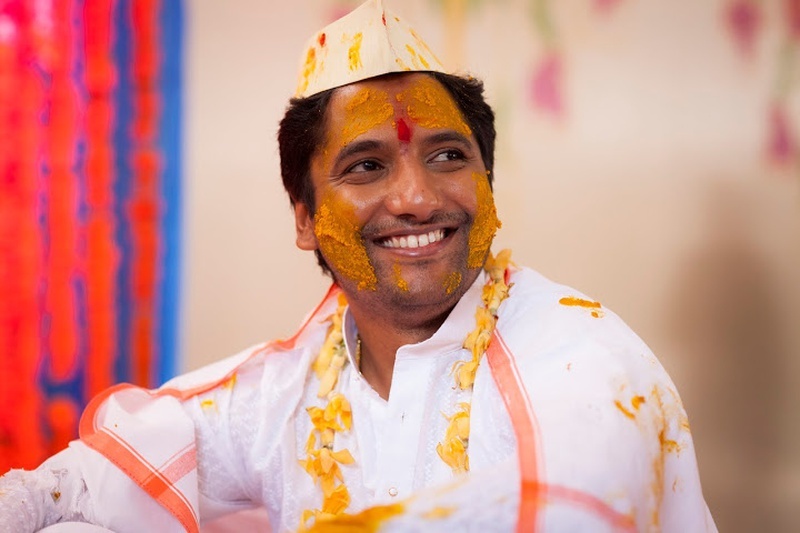 Sapna and Amol’s union comprised of a two-part celebration – The haldi ceremony and the traditional Maharashtrian wedding. 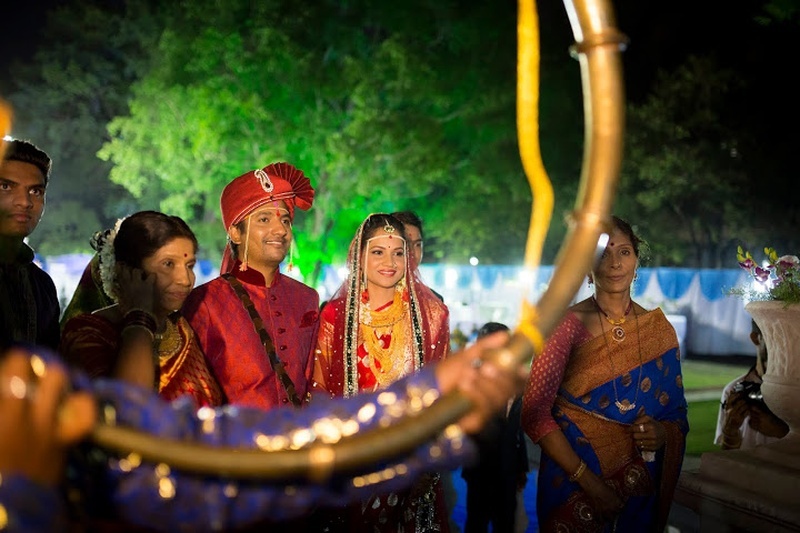 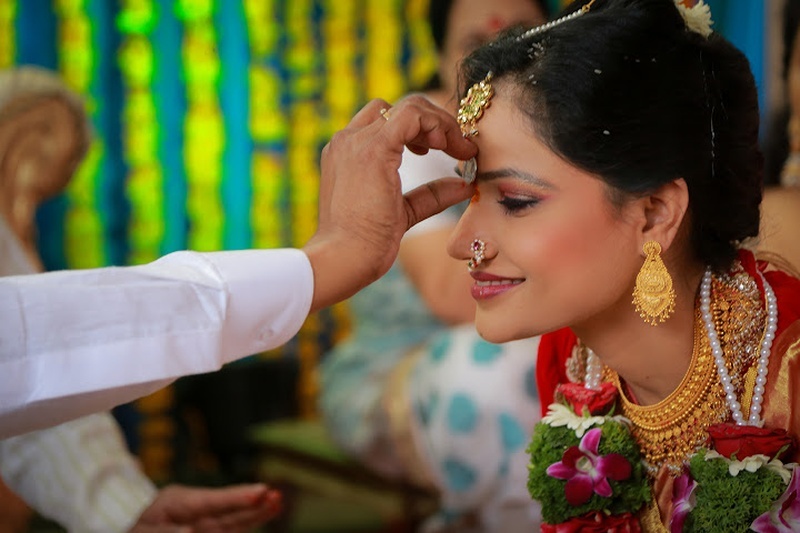 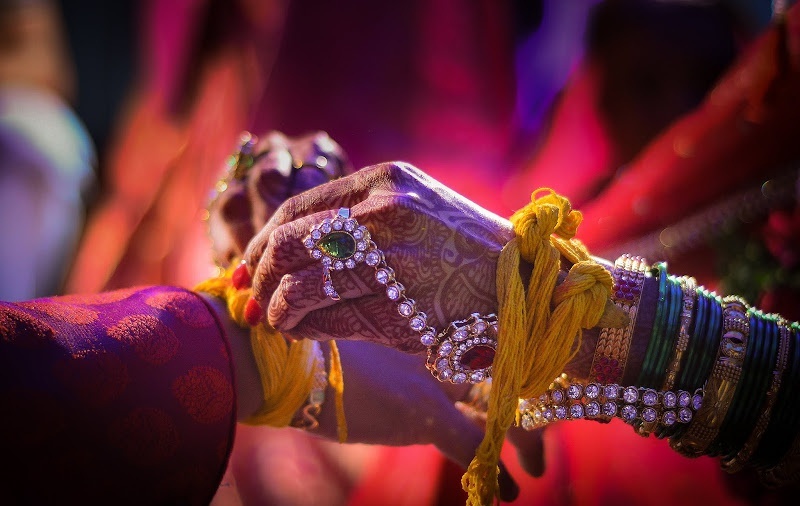 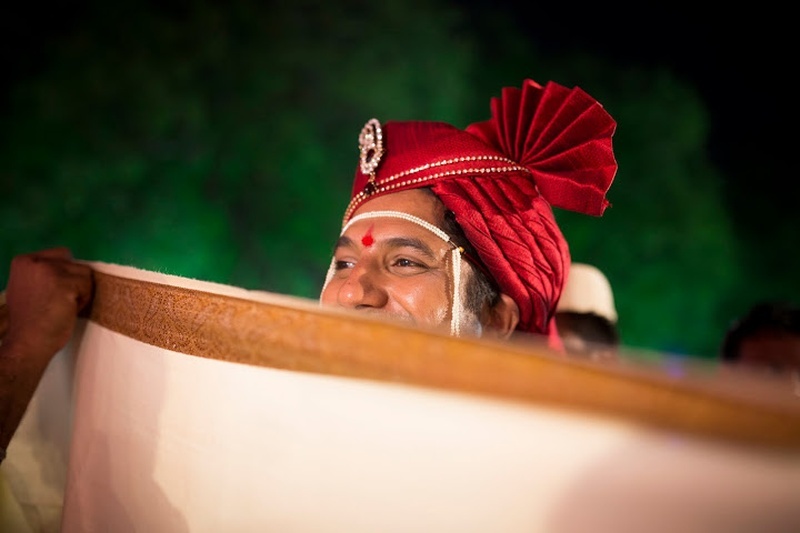 A celebration that serves as a true inspiration for anyone who wants to wed the traditional Maharashtrian way. 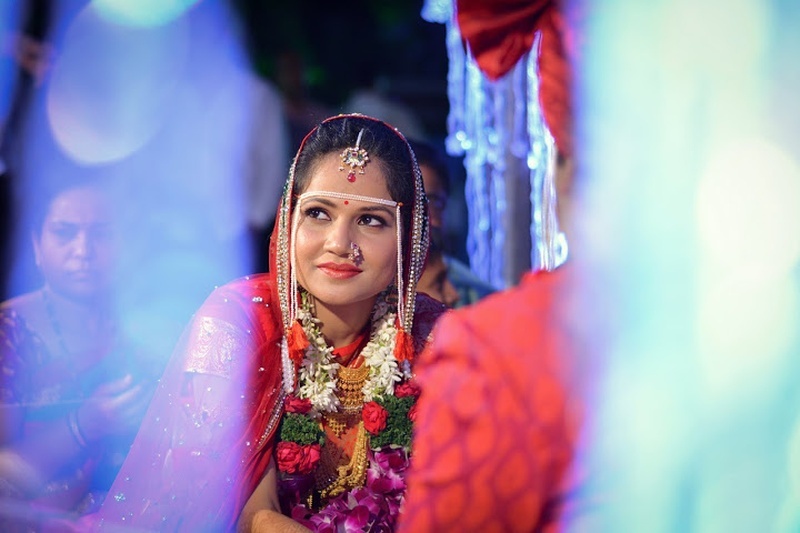 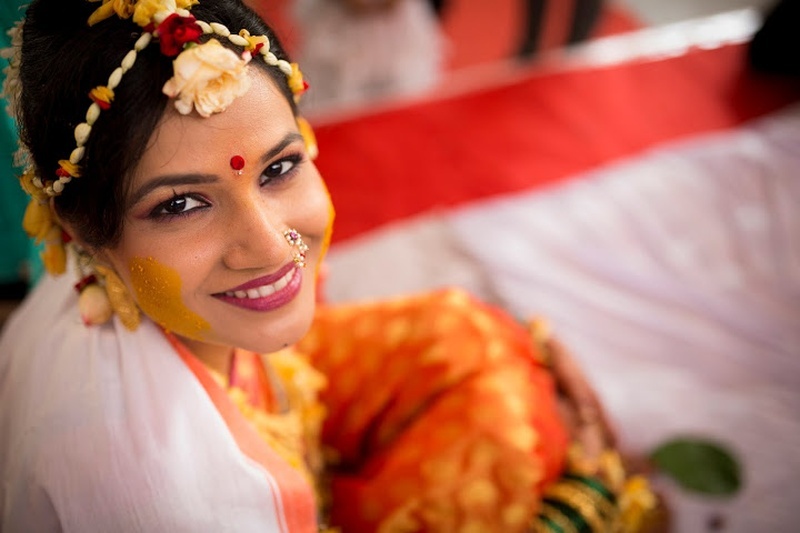 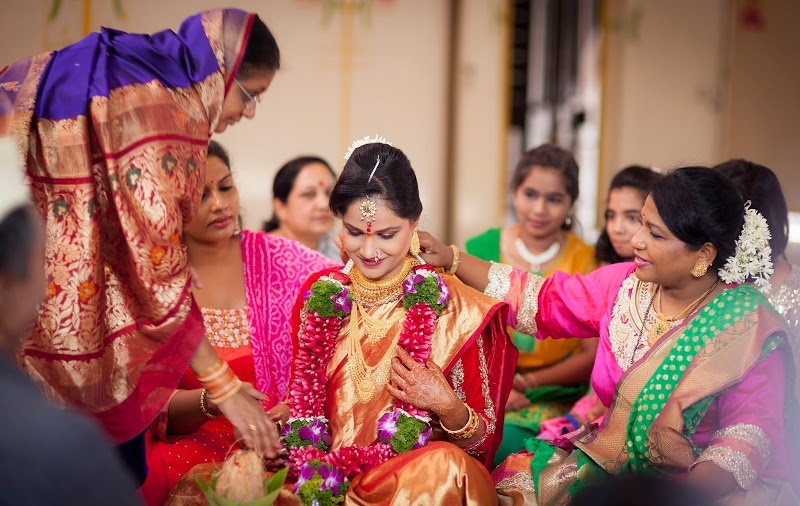 For the haldi ceremony, Sapna was decked in a combination of floral and real jewellery. 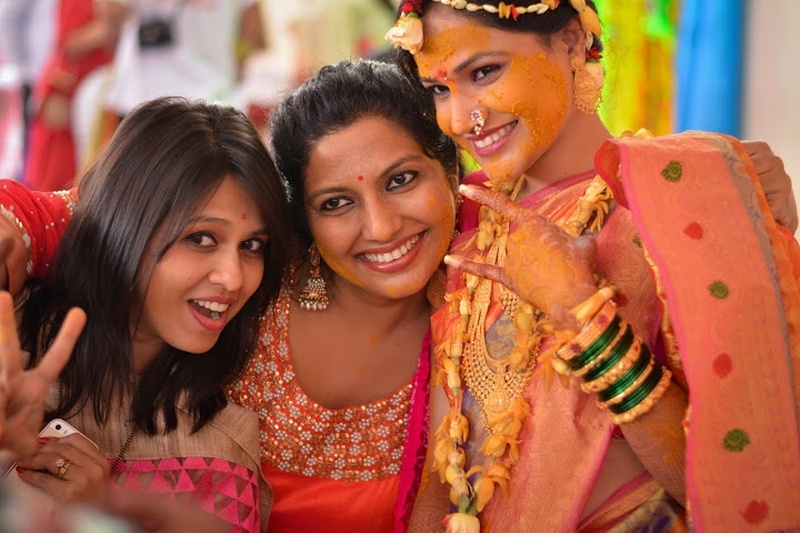 The beautiful bride-to-be glowed in her coral and peach, dhoop-chhaon silk saree. 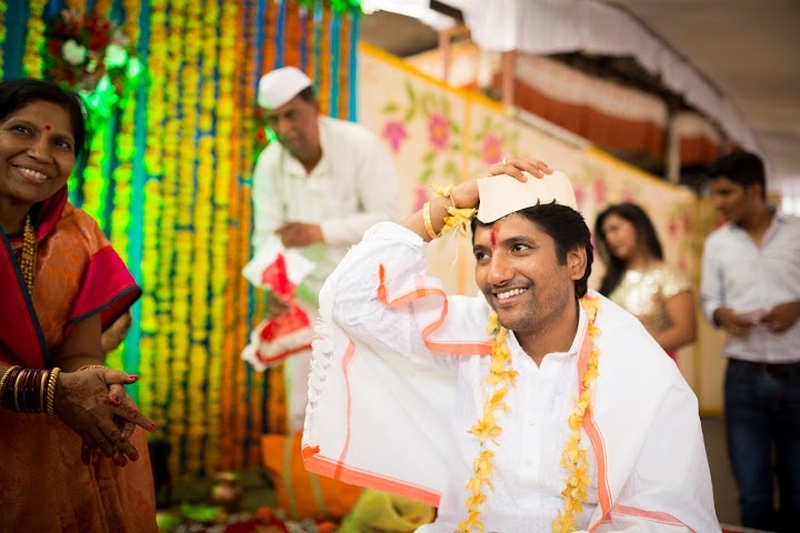 The handsome groom was dressed in an all-white ensemble from head to toe, including his Gandhi topi. 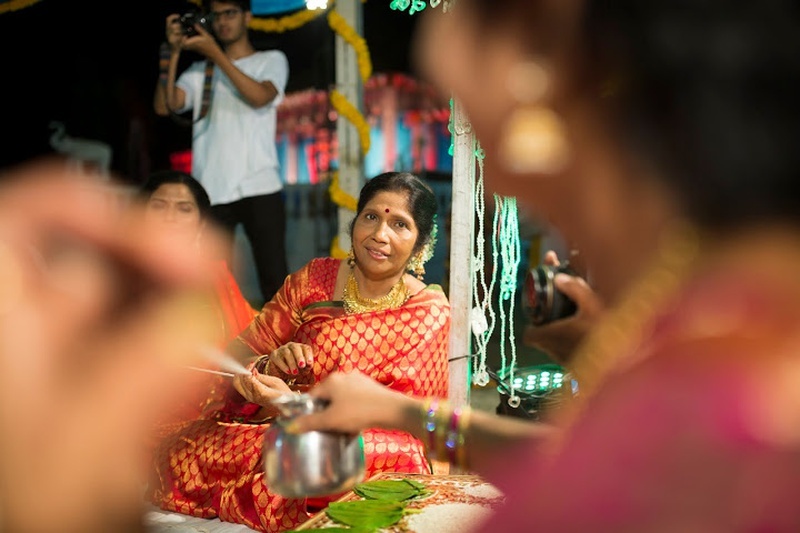 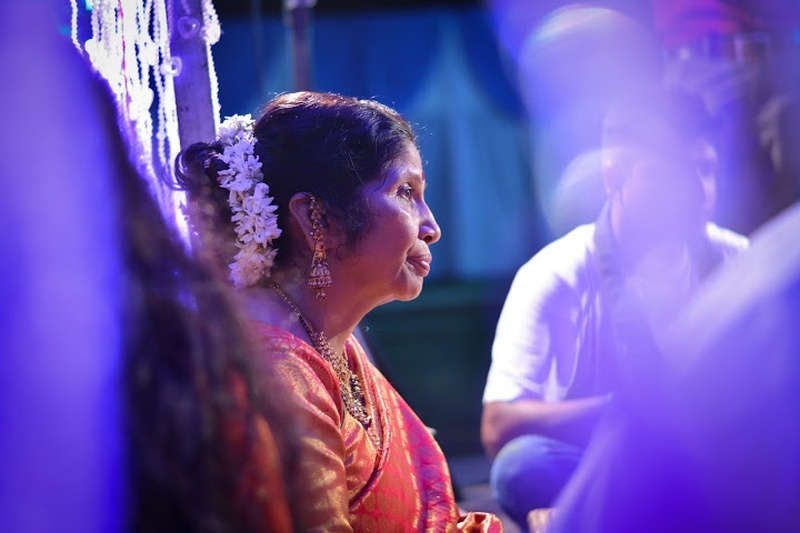 An open-air mandap hosted the varmala and antarpat ceremony of the bride and groom. 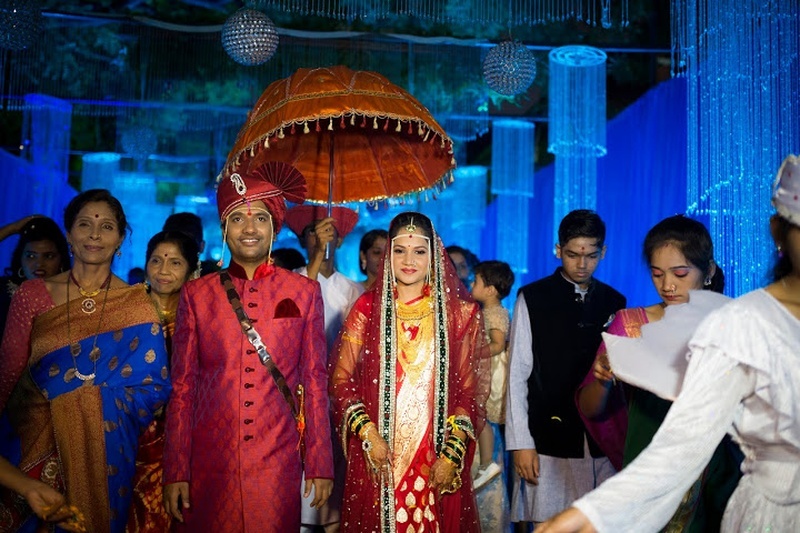 An Antarpat (curtain) was held between Sapna and Amol by close members of both their families. 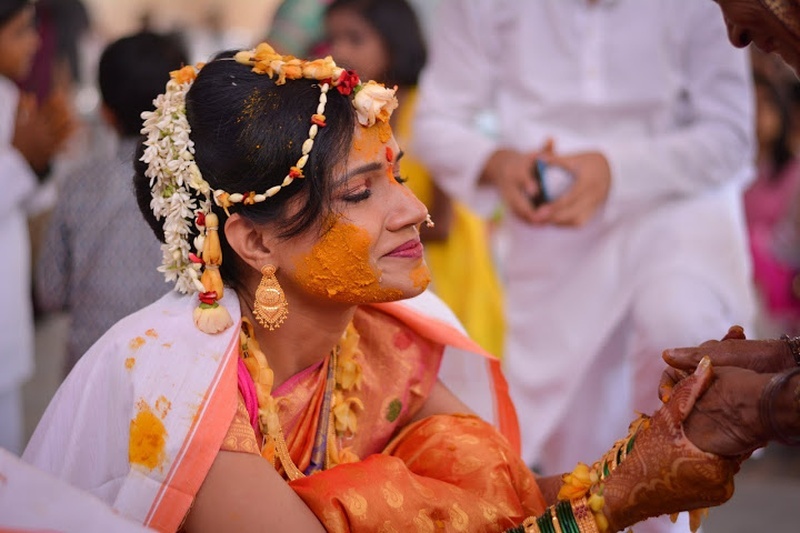 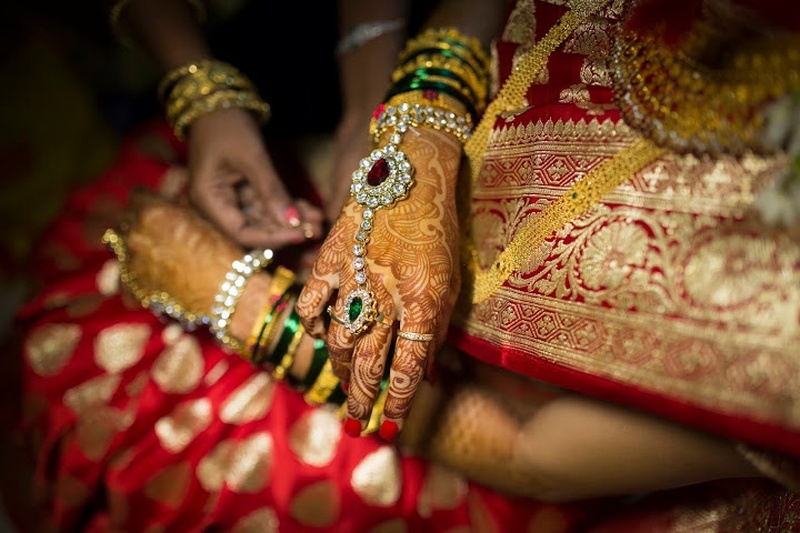 This wedding ritual signified that they are still separate individuals and unwed. 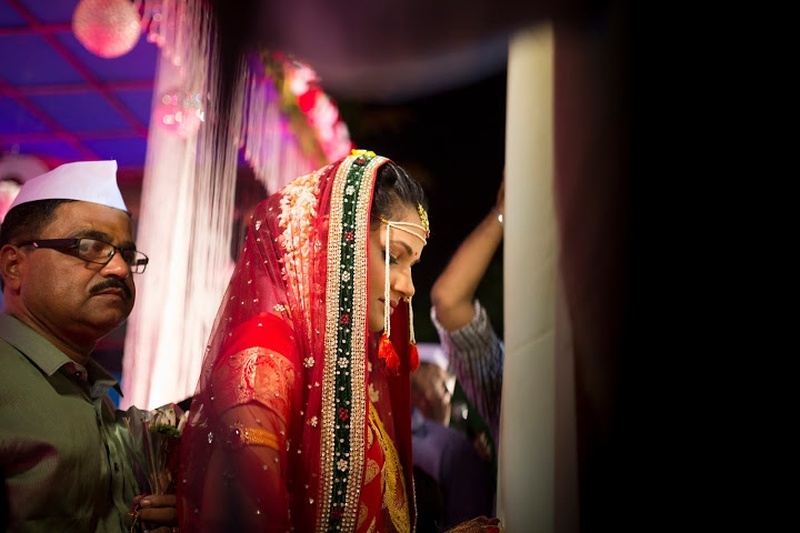 The curtain, symbolising the physical world that separates the bride and groom, is then lowered to bring them together. 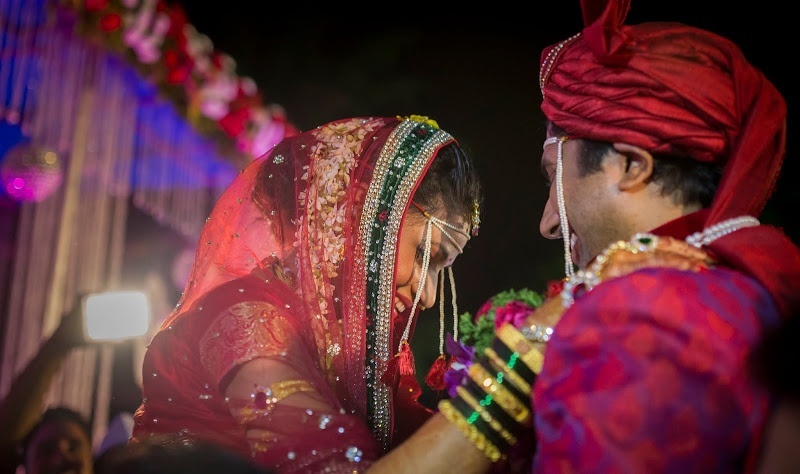 The couple then acknowledges this eternal bond by exchanging floral garlands. 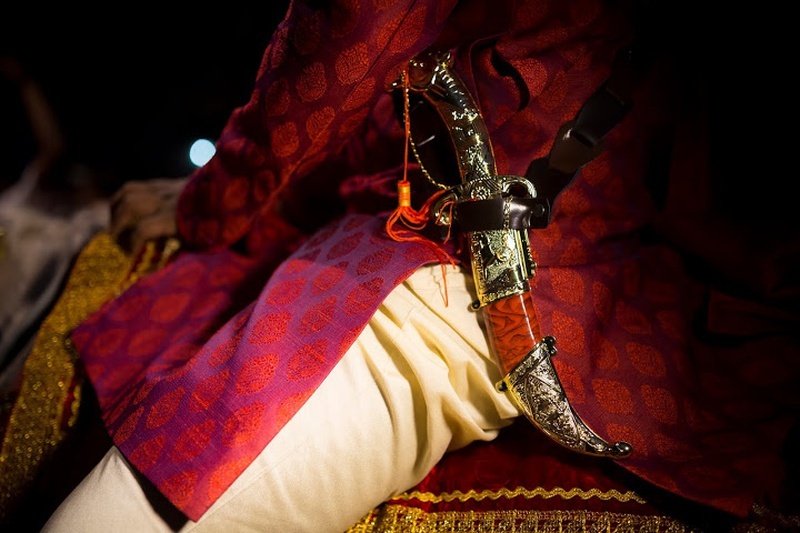 And even though every element of their marriage was done the traditional way, Amol’s oufit was definitely not the conventional beige sherwani. 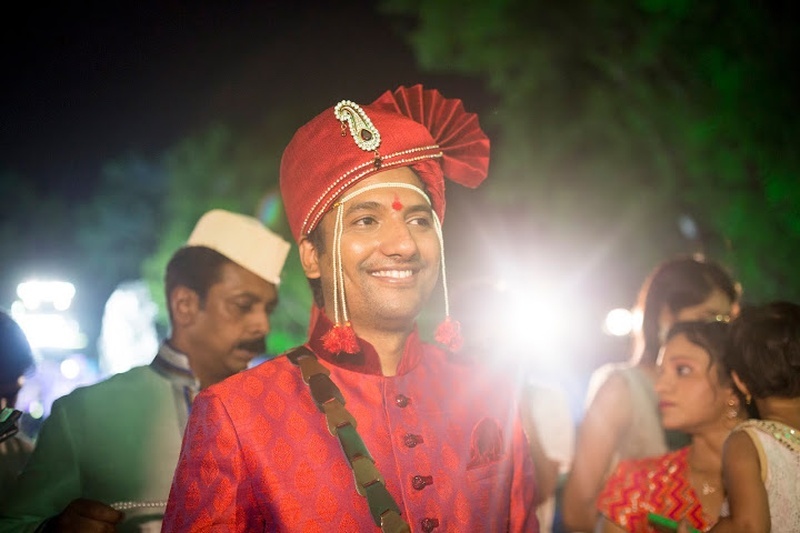 He rather opted for a stylish red and magenta silk Sherwani paired with a red Safa – and we were lovin’ it! 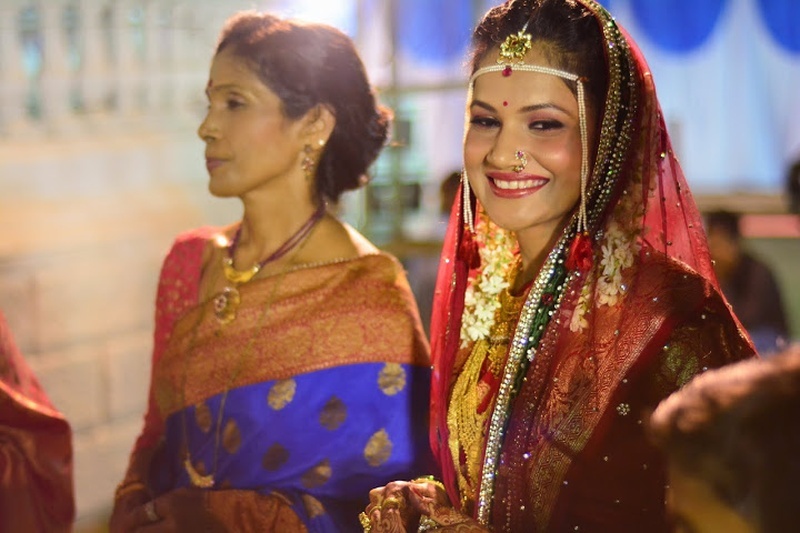 The stunning bride dazzled in a red and gold silk saree with traditional gold jewellery that left us breathless. 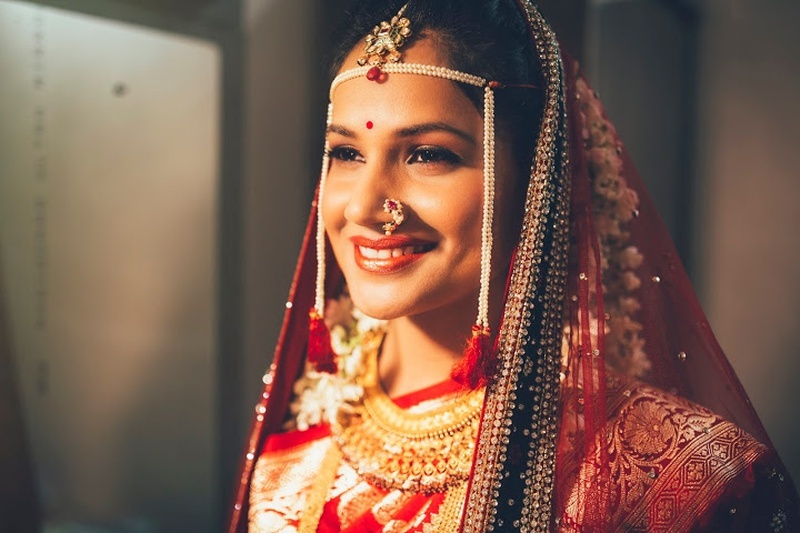 The intricate designs on her multi-layered rani haar, the dainty nathni, her pearl mundavalya – every component of her attire made her look like royalty! 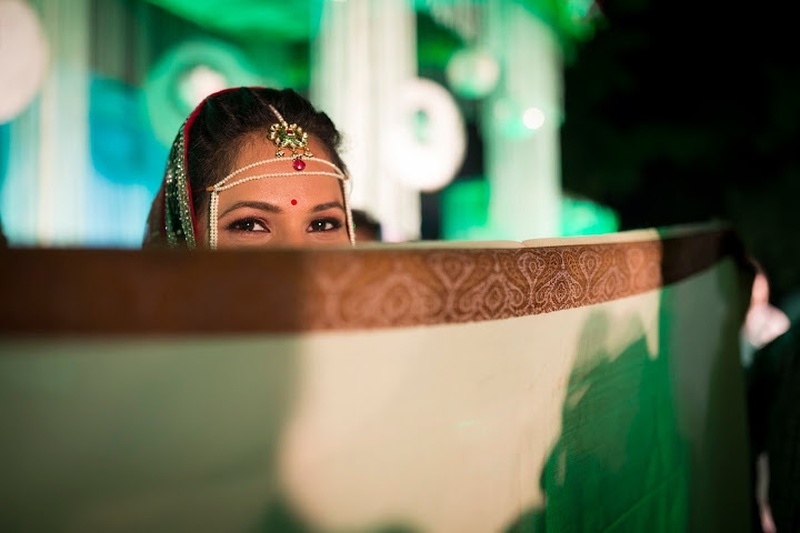 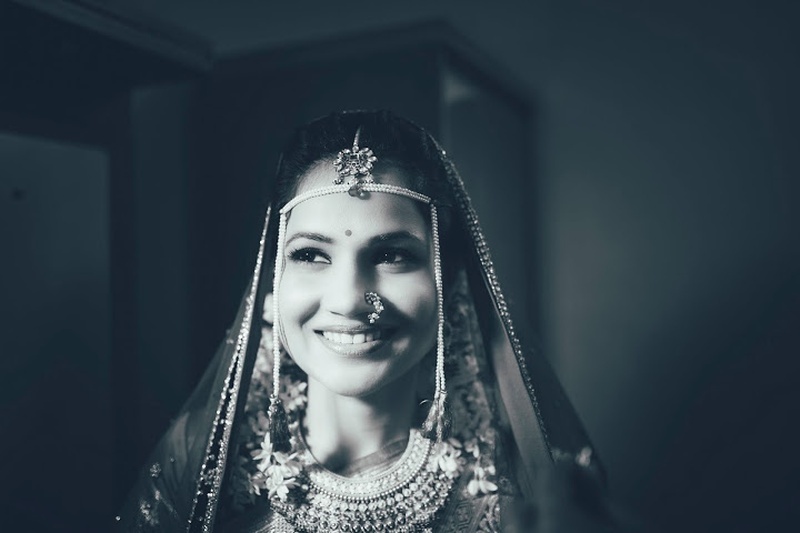 Every stunning image captured at this wedding is all because of the talented Vivek Tickoo from The Wedding Knights. 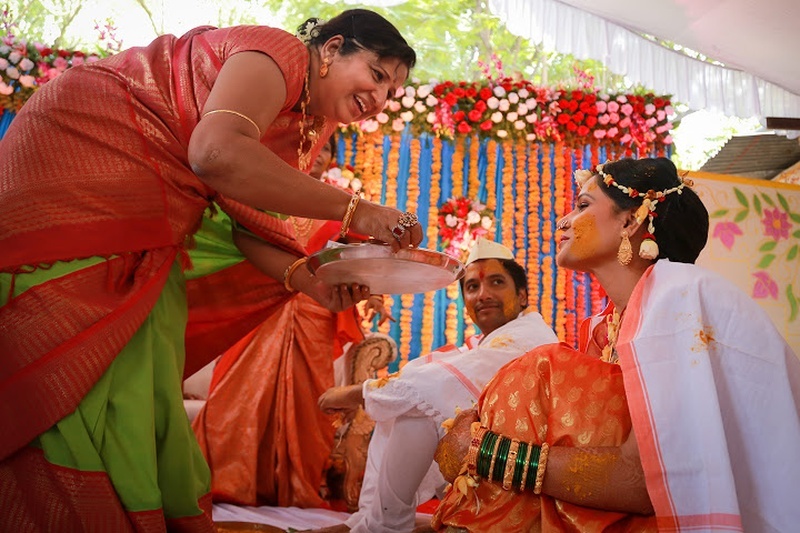 Let’s have a look at a few pictures from their big day right here!